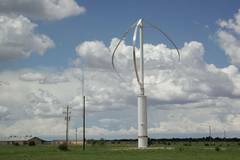 I've added a new page on photos of historical Vertical-Axis Wind Turbines to include VAWTPower Management's prototypes at Clines Corner, New Mexico. I know little about VAWTPower Management's prototypes. I learned of them only in 2017 from Swedish VAWT researcher Erik Möllerström who was writing a journal article on the modern history of VAWTs. There was website extant in October 2018 when I visited created by J. Mackenzie of Albuquerque, New Mexico. The website's entries begin in April 2005 and end in March of 2013. Apparently, there were two variants: 60 kW and 100 kW. Both are presented on the web site. Both are cantilevered, that is, there are no guy wires holding the tower upright. From its web site it appears the company was well-connected politically or at least knew how to get political attention. Jerry Berglund, president of the company is shown with US Senator Jeff Bingaman on the site in August 2006 and later that summer with Congresswoman Heather Wilson, also at the site in Clines Corner. The photos on the new page are by Vaughn Nelson, who has done his share of experimentation with VAWTs in the 1970s and 1980s in the Texas Panhandle. 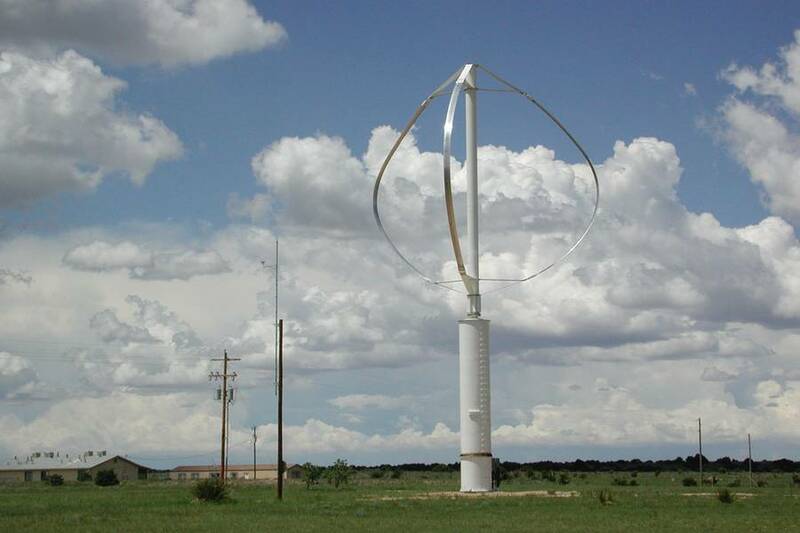 The remaining turbine was visible at Clines Corner on Google in October 2018.